Abortion providers around the country are on edge after a woman convicted of attempting to murder a doctor who performed abortions was released from federal custody on November 7. In 1993, Rachelle Shannon traveled from Oregon to Wichita, Kan., where she shot Dr. George Tiller and wounded him. Tiller recovered from that attack, but was murdered many years later by another anti-abortion extremist. Now, both Shannon's release and the current political climate have many clinics stepping up security. Julie Burkhart worked with Tiller at his Wichita clinic for several years before his assassination in 2009. She'd sometimes go into his office for meetings and see his bulletproof vest on his couch — a "constant reminder," she said, of the danger Tiller faced. "There was always this sense in the back of your head, that who could be the next gunman or gunwoman out there?" Burkhart said. 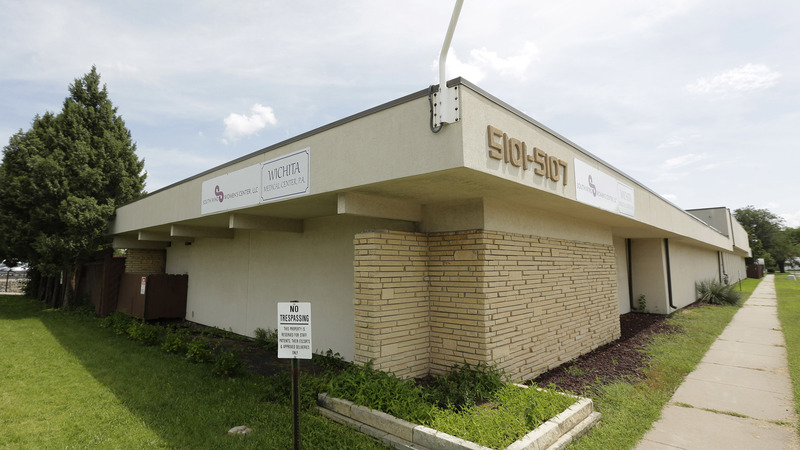 Burkhart now runs a group called Trust Women, which operates three clinics that provide abortion, including one in Wichita. Tiller performed abortions later in pregnancy, often for women facing serious health conditions or fetal abnormalities. He became a target for anti-abortion extremists like Shannon. She was associated with a group called Army of God, whose website still describes people who carry out acts of violence against abortion providers as "heroes." Burkhart and other abortion-rights advocates call Shannon's release from a halfway house last week "unsettling" for clinic workers around the country. "We're all very concerned about her release," said Katherine Hancock Ragsdale, interim CEO of the National Abortion Federation, which represents abortion providers. "She has an extensive — long and extensive history — of committing and inciting violence successfully. And her release has all of us on edge." Speaking with NPR by phone, email and text this week, Army of God leader Don Spitz, of Chesapeake, Va., said he recently spoke with Shannon — even though he's no longer allowed to talk to her as a condition of her release. Spitz said as far as he knows Shannon has no plans to try to attack an abortion provider again, though he said they didn't discuss that specifically. Most major groups of abortion-rights opponents denounce such acts. "The pro-life movement does not advocate violence, even against those who would kill unborn children," said Carol Tobias, President of the National Right to Life Committee. "I don't believe our rhetoric has contributed to that, and we would certainly condemn anyone who does take the life of an abortion worker." Hancock Ragsdale said the threat to abortion providers isn't just about Rachelle Shannon or any other single individual. She said trespassing incidents at clinics tripled in 2017 from the year before, and threats of violence nearly doubled, according to data compiled by her organization, the National Abortion Federation. She points to the divisive political climate under President Trump — though Trump has never called for violence against abortion providers. "Our rhetoric around all issues of disagreement has been inflamed and enhanced, and anti-abortion extremists are seizing this moment to take advantage of that volatile climate and piling on," Hancock Ragsdale said. Abby Johnson, a former Planned Parenthood worker who changed her views on abortion and founded the anti-abortion group And Then There Were None, said she remembers the fear she felt after Tiller's murder in 2009. Johnson said she believes Shannon should still be in prison. "I do know [the fear] is very real, and I do hope that every pro-life group comes out with some sort of statement supporting the dignity and the worth of those who work in the abortion industry, and completely rejecting the violence that this woman has caused," Johnson said. In a phone interview, former Assistant U.S. Attorney Steve Peifer said he continues to be concerned about the prospect of violence from extremists like Shannon. Peifer prosecuted her case in the 1990s and has continued to follow it. "She has counseled people to commit similar acts — even more violent acts than she did," he said. "And there's been nothing to indicate that she's changed her mind in that regard." At a moment when political tensions are high, clinics around the country say they're evaluating their security measures and talking with staff about the risk from people like Shannon — and anyone else she might inspire to commit acts of violence.